I was ever so slightly confused by the name of these shoes, until I looked at the photo of the heel. Doesn’t it look like it’s covered in lots of little shards of ice? It’s a nice effect, which is just a little different from the usual crystal heel effect, and gives the shoes a bit of an Ice Queen feel, which I thoroughly approve of. Well, if you can’t have a touch of drama in your footwear, where can you? 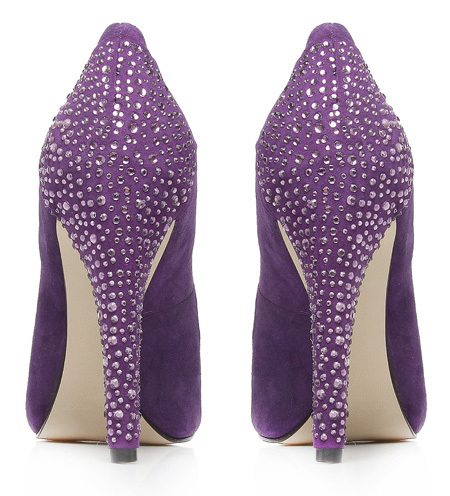 This shade of purple is a weakness of mine, but these shoes are also available in a few other shades, including black (both suede and satin versions) and an off-white, which is even more Ice Queen-esque, and could make a great bridal shoe! Love the purple! 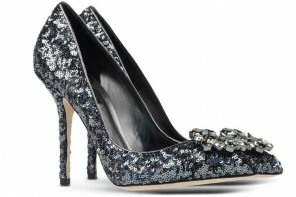 We even have Nine West here so there’s an outside chance I could find them!